Tired of living with stress, worry, and anxiety? Thrive Now! brings you skill-based videos and resources to enable you to tackle stress, worry, and anxiety head on and reclaim your life. You only need to invest a little time each day reflecting on and applying the information in these videos and resources to see a real change take place in your life. Just a few minutes each day to find solutions to your frustrations. To break out of the rut you’re stuck in. To find a breath of hope that you can do more than just survive – you can thrive! 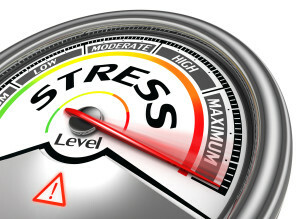 Gain insight into stress and anxiety so that you understand what is going on inside your mind, body, and emotions. Put “rubber-meets-the-road” tools in your toolbox to decrease your stress and anxiety: at home, on the job, and in your mind. Regain balance, joy, wholeness, and hope in your life!